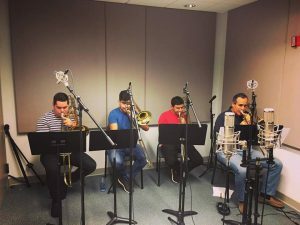 Trombones de Costa Rica (TCR) is an internationally established chamber music group, touring throughout the United States. Their combination of classical repertoire with commissions and arrangements of Latin American folkloric music has created enduring connections with the public. UCF faculty member Luis Fred is part of the ensemble and began their U.S. tour with the UCF School of Performing Arts, culminating with a performance on February 25.